“Son of Man” is a title that Jesus used of himself. It is found in the Hebrew Scriptures in Daniel 7, where it refers to a heavenly messianic figure. A too common approach those interested in dismissing the gospel message of Jesus Christ is falsely trying to discredit personally the gospel messenger and do reflect more eagerness to find supposed faults than to find the truth..
Apostle Paul was able to meet and speak to all people as equals no matter what their position. He always actually was what he appeared to be-on the level with the person to whom he was speaking. Paul is a pure-bred true Jew! But in Philippians 3 Paul is clear that this Jewish heritage is of no value now that he is “in Christ,” but it seems that Paul’s Jewish heritage is one of the major factors behind his successful Jewish evangelism. 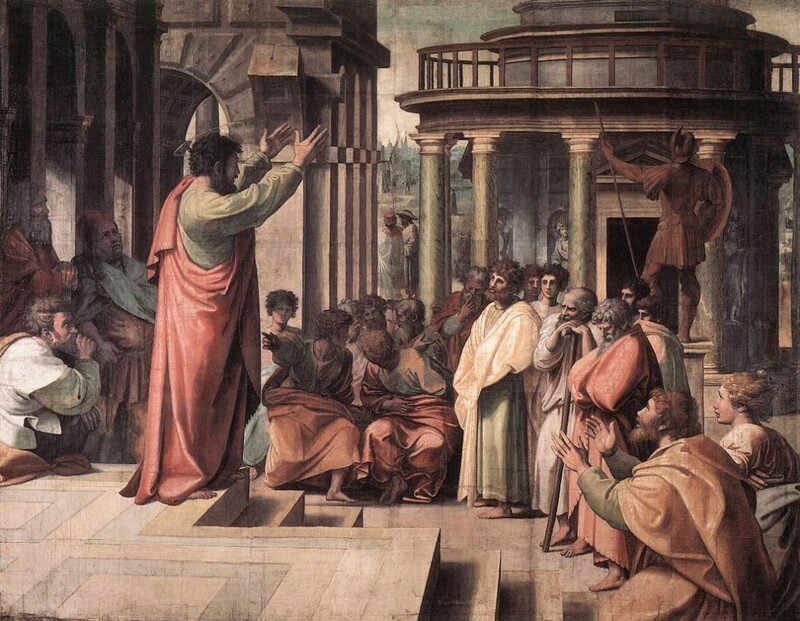 The false mostly Jewish assertion that Paul invented a role that Jesus never took for himself is insupportable, but anyone can easily lie to the contrary. Paul was educated at the feet of one of the most eminent Pharisaic rabbis of his time. In those days, leading rabbis headed schools in which they taught their perspectives and views to disciples. Too many Jews falsely that Jesus was a good teacher who never claimed to be the Messiah or the Son of God. They also do lie and claim that Paul imported pagan ideas into the Jewish teaching of Jesus in order to appeal to the Gentiles and to create a new religion. Paul, they lie and say, was the false”inventor” of Christianity and a false detractor of Judaism since he had taught that the Torah was of no value. Many Jews since then too falsely too have hated Apostle Paul from the start and no surprise here they tried to kill him many times.. When Paul left earth at the end of his earthly life he not only left over 14 local church plants, he followed Jesus Christ’s movement that would eventually spread to the extent that even the Roman Empire itself would surrender to Christianity . History was changed in dramatic fashion through this one man’s obedience. as well. I know thy works, and tribulation, and poverty, (but thou art rich) and I know the blasphemy of them which say they are Jews, and are not, but are the synagogue of Satan (Revelation 2:9). Behold, I will make them of the synagogue of Satan, which say they are Jews, and are not, but do lie; behold, I will make them come and worship before thy feet, and to know that I have loved thee (Revelation 3:9). For he is not a Jew, which is one outwardly; neither is that circumcision, which is outward in the flesh: But he is a Jew, which is one inwardly; and circumcision is that of the heart, in the spirit, and not in the letter; whose praise is not of men, but of God (Romans 2:28-29). Most people who call themselves “Jews” today still do not meet the Bible criterion of being a Jew including the Samaritans and the fake “Jews. But it came to pass, that when Sanballat, and Tobiah, and the Arabians, and the Ammonites, and the Ashdodites, heard that the walls of Jerusalem were made up, and that the breaches began to be stopped, then they were very wroth, And conspired all of them together to come and to fight against Jerusalem, and to hinder it. (Nehemiah 4:7-8). For without are dogs, and sorcerers, and whoremongers, and murderers, and idolaters, and whosoever loveth and maketh a lie (Revelation 22:15). The historically fake Jews changed Psalm 110 to hide the divinity of Christ in the distorted the Jewish Tanakh version of the Bible, but they also had changed VIRGIN to YOUNG WOMAN in the prophecy in Isaiah about the VIRGIN birth of the Messiah. (Isaiah 7:11-14). 23 Behold, a virgin shall be with child, and shall bring forth a son, and they shall call his name Emmanuel, which being interpreted is, God with us. (Matthew 1:23). Mistranslation, distortion of the Scripture, Bible is the common approach of liars, impostors, and cults. God Doesn't Want Your Sacrifices , He Wants Your Obedience! So do you too only use the name of Jesus when you curse? The difference betwen Jews and Christians.. So what reasons do you have to support the Jews and the state of Israel?